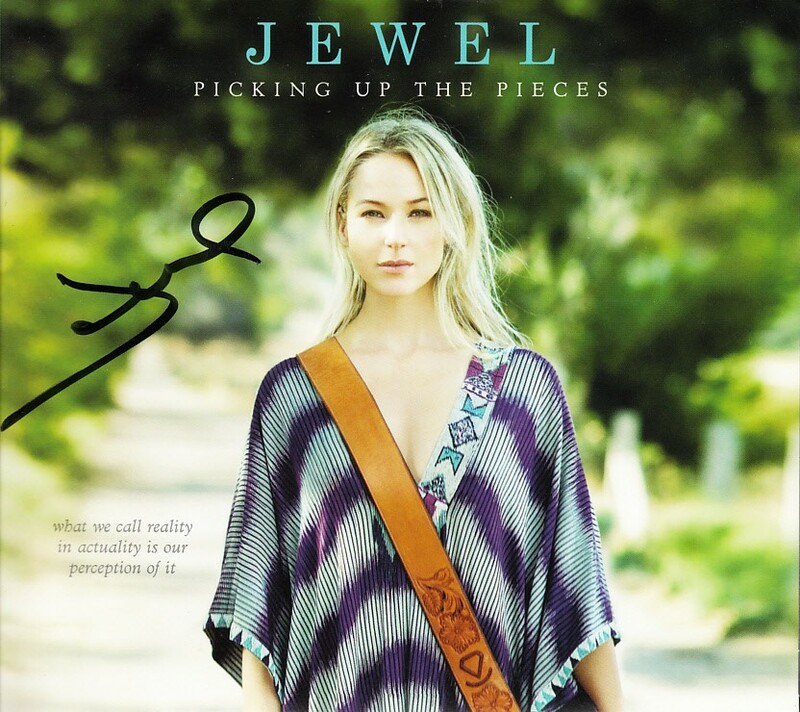 Picking Up the Pieces CD autographed in black marker on the front cover by best selling musician Jewel. Obtained in person at book signing, with photo from the signing and certificate of authenticity from AutographsForSale.com. ONLY ONE LEFT.